A few shots from the last week or so. 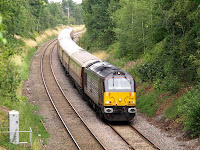 67005 "Queens Messenger" on the Northern Belle at Wylde Green (with 67028 bringing up the rear). 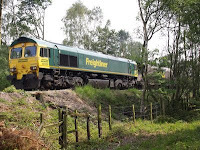 66509 heading across Sutton Park with a heavy train (1800 tonnes) of loaded coal hoppers. 66050 on a ballast train at Wylde Green. 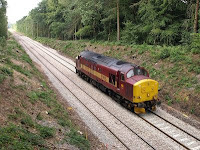 37422 "Cardiff Canton" running light engine across Sutton Park bound for Washwood Heath.